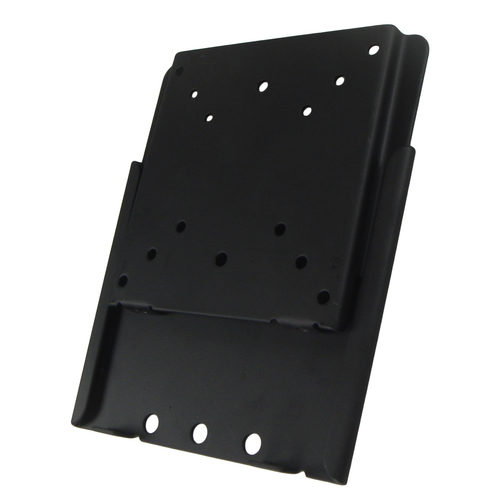 A black powdered coated metal, VESA compliant, low profile and quick release television wall mount. A black powdered coated metal, VESA compliant, low profile and quick release television wall mount. 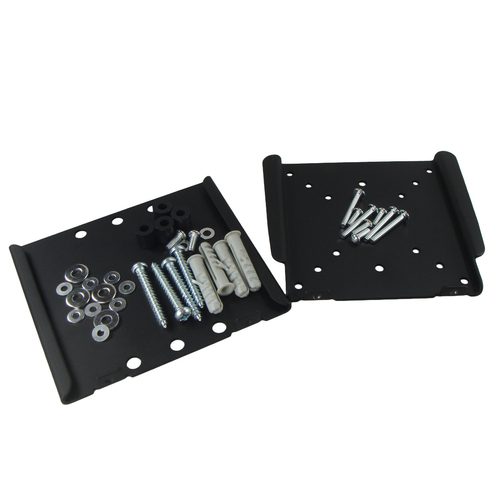 This boat television wall mount, or boat TV bulkhead mount, is a useful, simple to use and install wall mount. It provides a basic flat and low profile position for your on board television whilst allowing for quick TV dismounting should you wish to your television home with you after your cruise. The two robust bottom ledges prevent the male part (attached to the TV) from falling through the female part (attached to the wall). 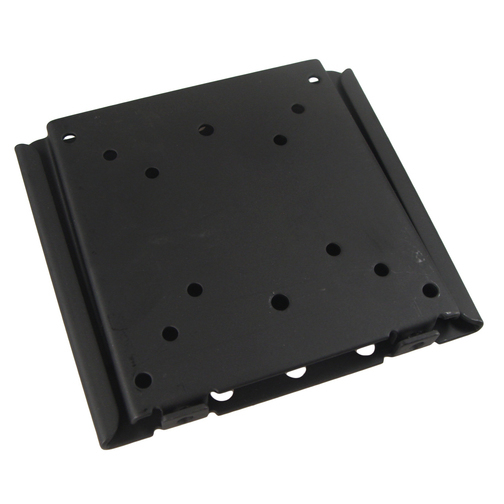 It features six fixing holes on the base 'female' part to attach to the bulkhead and is compatible with three VESA mount positions (common television mounting screw positions) 50mm, 75mm and 100mm.